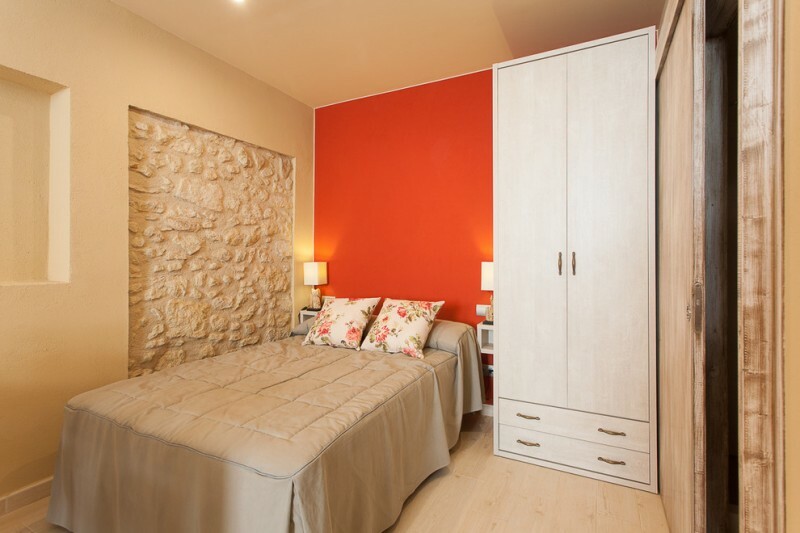 Furniture for small homes precisely can be the most perfect choice for you guys whose limited-space home or apartment. As we know, the rooms have some different functions, such as a causal seating area, private corner, and formal living space. Before starting to browse hundreds ideas of furniture for your living room, consider the space size and desired purpose of your new spaces, then focus on targeted items you wanna select for your rooms such as armchairs, chair slipcovers, sofas/ couches, sectionals, beds, etc. And the rest, choose the decor, theme, accent, and style accordingly. 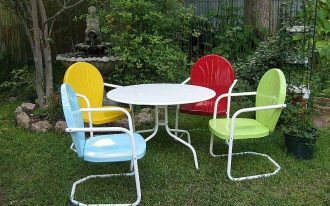 Custom furniture sets are also very recommended as they’re designed based on your requirements. Here, I’m gonna give you tens ideas of furniture for small rooms complete with a brief description and source you might want to look for. Wish they’re gonna be your inspirations. For such small traditional screened-porch, thin-construction daybed is well-recommended for you. Its slimness allows the other complimentary items can be settled rightly. There are more spaces left with this furniture choice. Even you can add another decorative stuff in another side of porch. 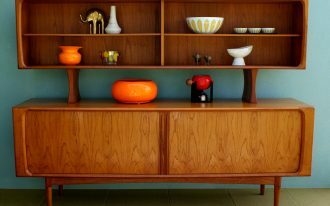 This cool shabby display cabinets, for example. 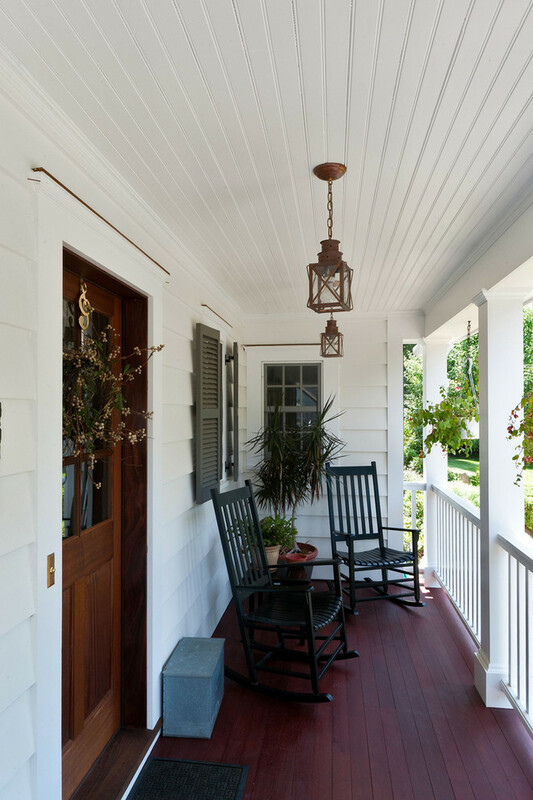 One reason why the rocking chairs still be the most favorite for the porch is they’re functional as well as space-effective. 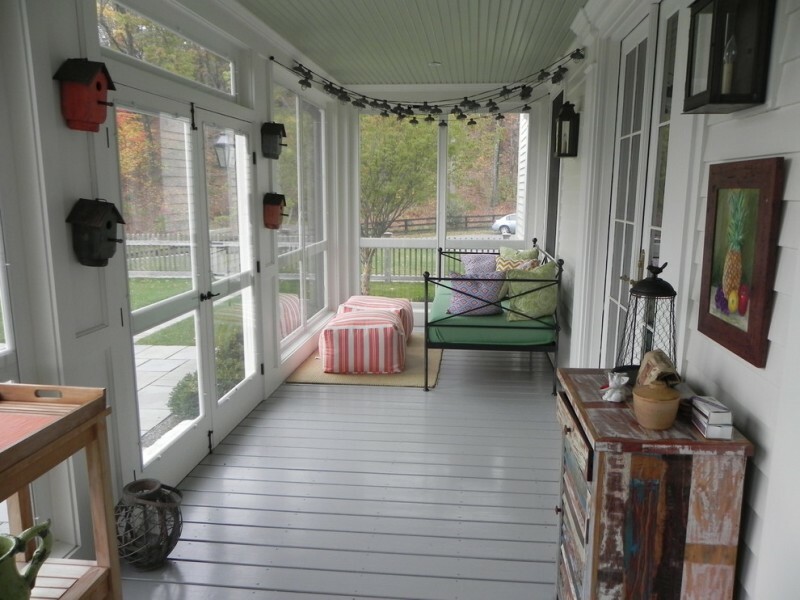 A couple of rocking chairs and a small side table are enough to furnish your small porch. A contemporary balcony with comfy furniture set. There are two series of furniture separately laid out. One side is furnished with a couch completed with comfy covered-foam seaters, while another side has a circling-set chairs & table. 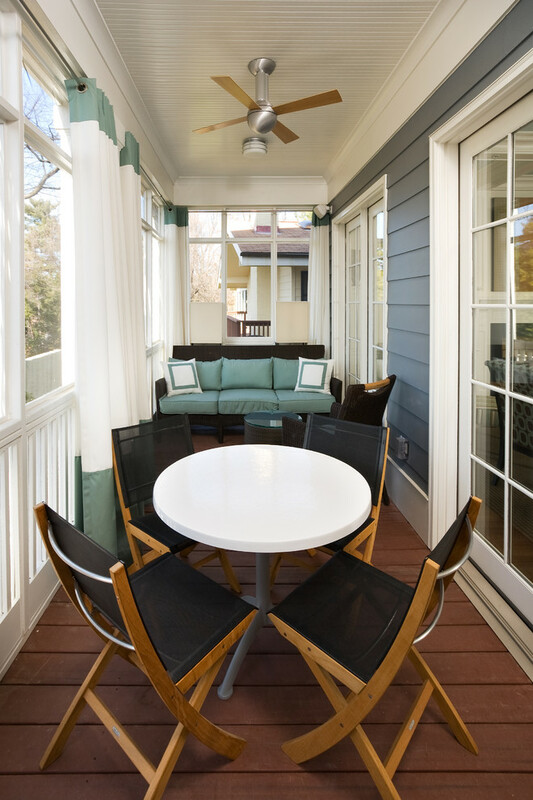 Both effectively meet your small-space front porch, and smaller round-top table is a genius choice. L-shaped furniture like this outdoor bench is one of most recommended furniture options for small spaces. 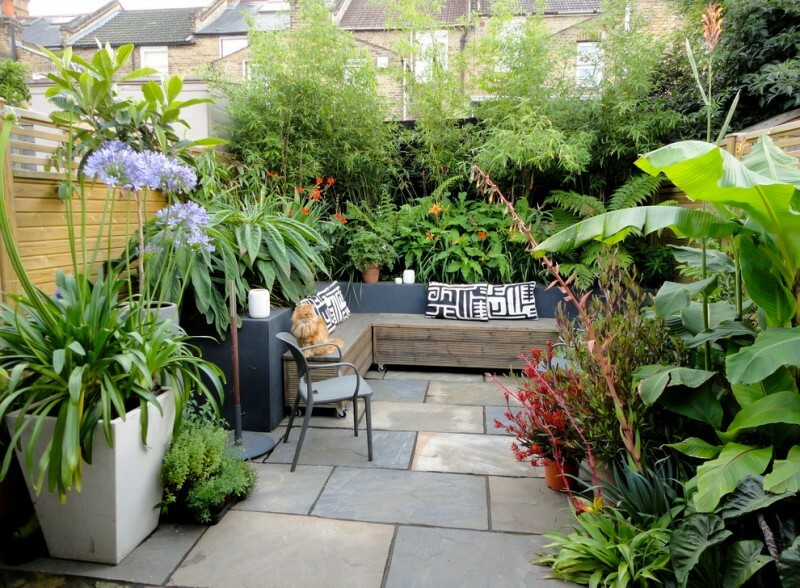 In this patio idea, the rustic bench is remarkable for such jungle-themed outdoor. The greens and paver flooring really meet the concept without missing the modern appeal. The tiles are the focal points. We won’t focus on the focal points, but the overall space and its furniture. The furniture is small yet cozy for meals while enjoying morning sunlight flared from the suntrap. They’re chic and a little culture-exposure. There so many options of such small bistro chairs and table you can purchase in most European furniture shops. All-shaped-cubes furniture is unique and rarely used for interior and exterior, and you probably want to try this idea for your small-sized inner patio. Use the shabbier ones to match your chic space. If you like rustic, dark-finishing cubes are better than light ones. Let the brick walls uglier with the vines, and add some dimmer lights around for a dramatic look. You can use your small-space house-side’s corner as a cozier seating area. Furnish it with a couple or three wood chairs plus small round-top table. Set the chairs around the table to save the space and yes it works, you’re gonna see the amazing result. 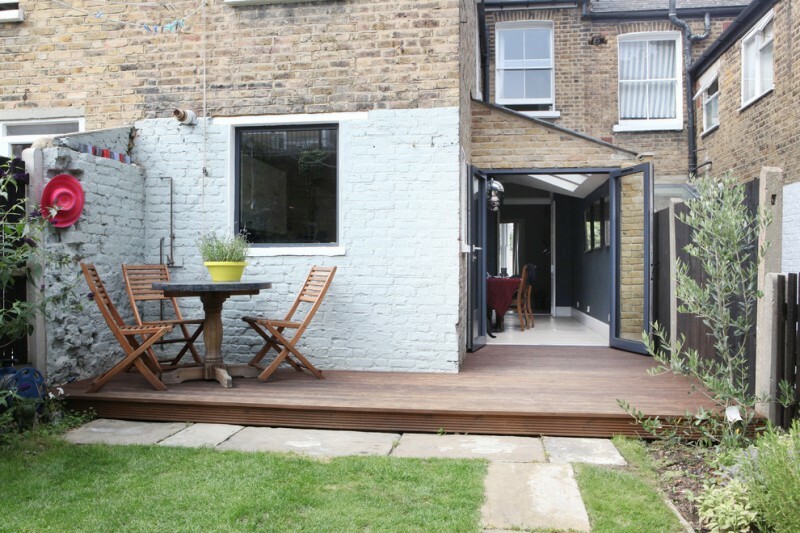 This is another idea of small patio. The seats are just two logs set out around the small round-top & tiny-legs metal table. The surroundings consist of low-maintenance plants and grasses needed for greenery. 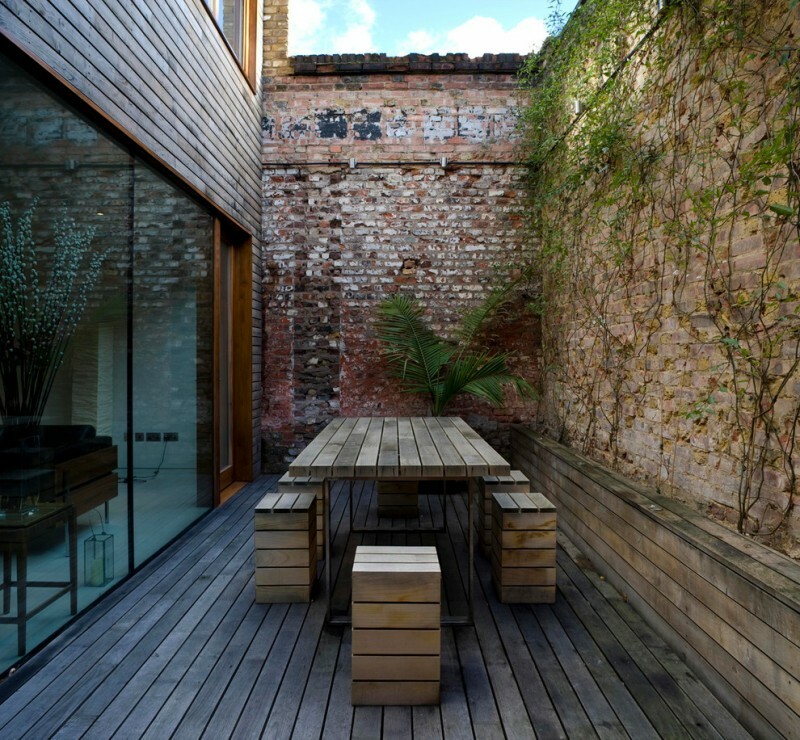 Tiny courtyard with seating area. The space is designed in modern style, including the furniture, lighting, and landscape. 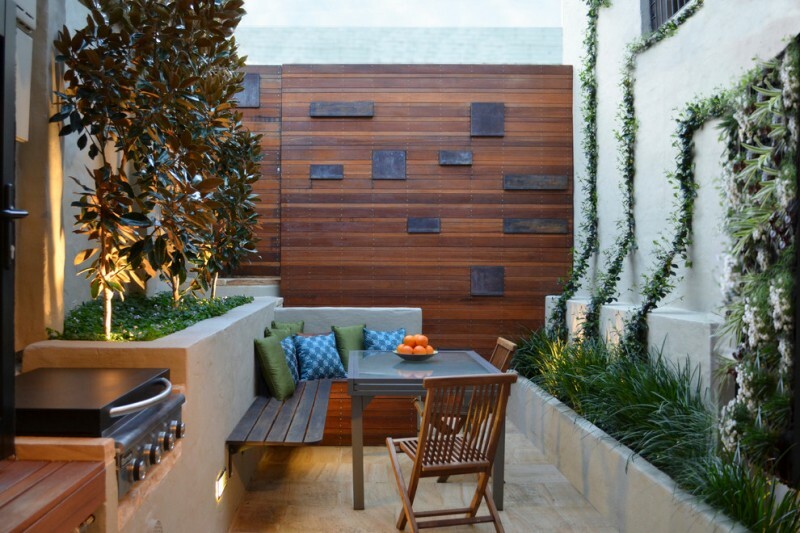 Floating bench, as you’ve seen in the picture, visually help in creating larger & airier space, accommodating the other custom furniture sets in this outdoor space. 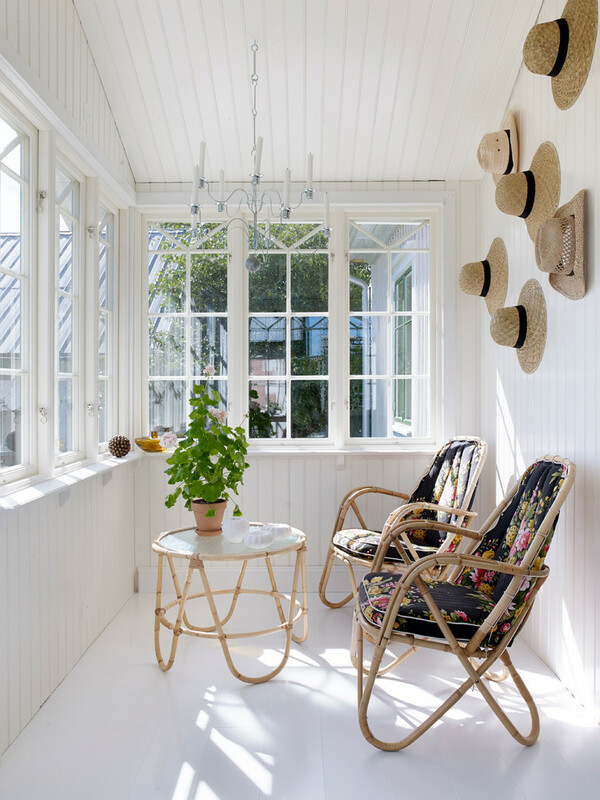 White and high-legs furniture is an ideal choice for such a small but trendy deck. 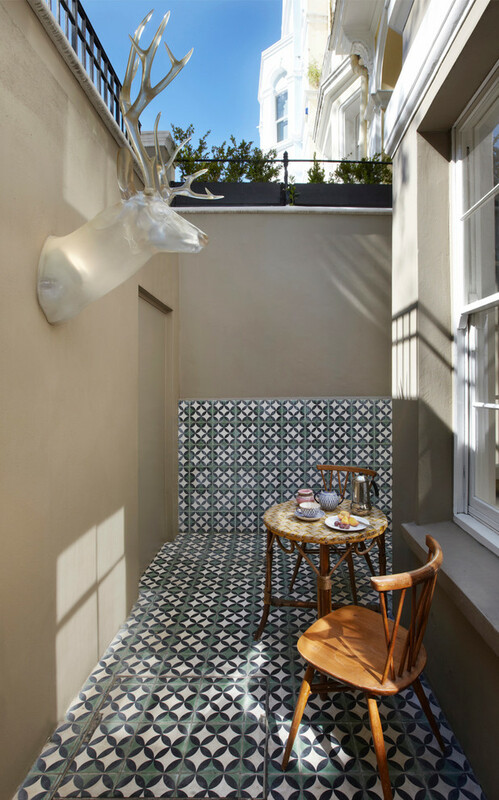 Put the furniture at corner, and let the remaining spaces for highlighting the parquet-tiled wood floors that effectively update this patio. That’s a good touch, right? 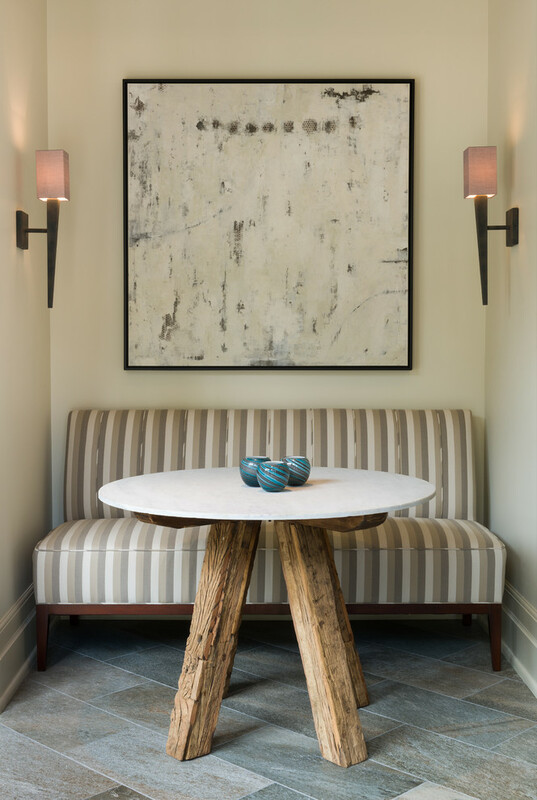 A small bench built in between the two panels along the entryway seems to be popular in most current homes. 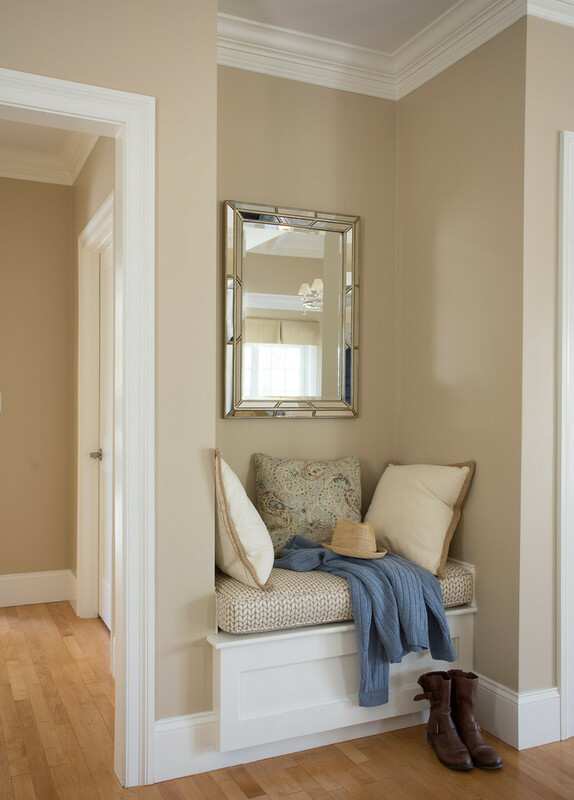 This mini seating area is commonly used for getting the shoes off before entering the room. 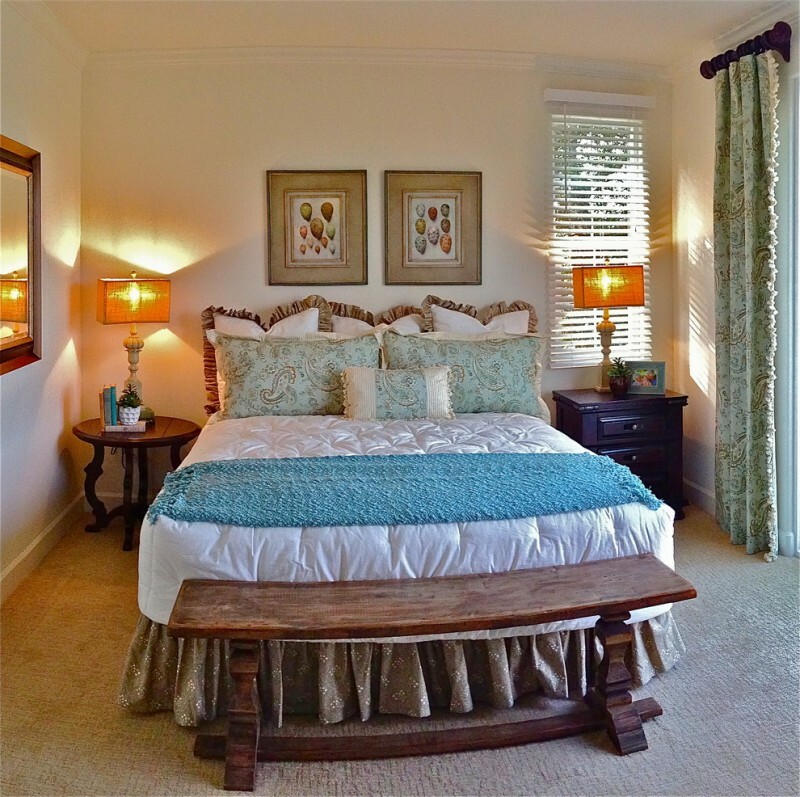 Make it cozier by adding some throw pillows and may be a mirror for checking your makeup before or after leaving. 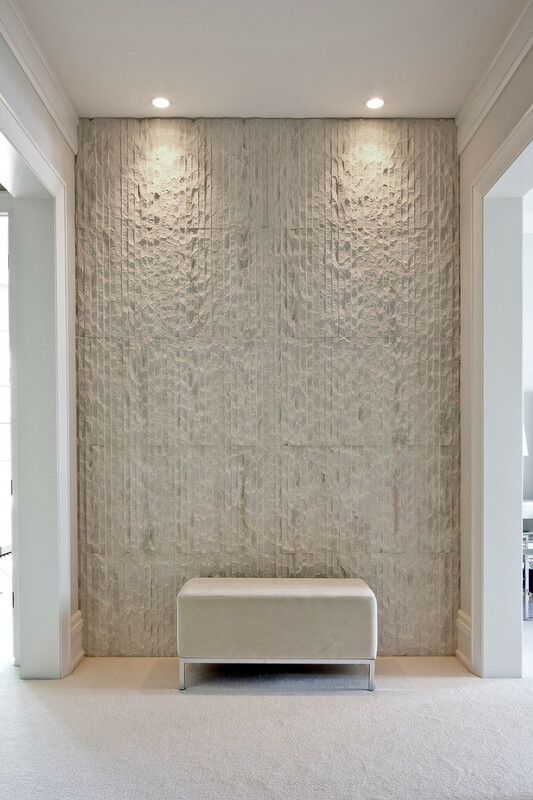 An inspiration for contemporary hallways with hard textured stone walls. A simple and contemporary bench potentially be a focal point as well as a functional seat for users. 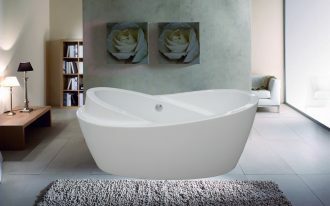 Soft beige, in addition, brings out calmness and elegance. 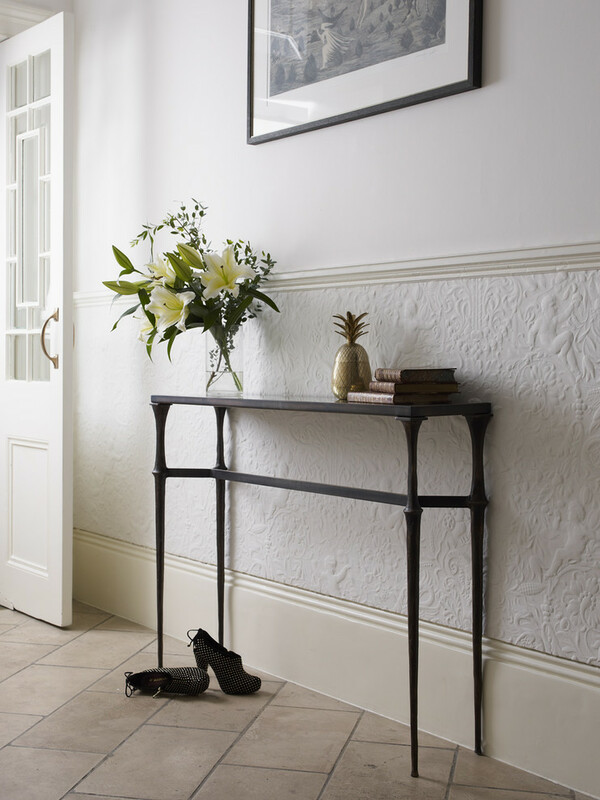 Make your mudroom more elegant with such a slim hall console table. It works well for a small space due to its length and thin legs, and narrow top. It’s also gonna be the only one direct interest in that room. Narrow space like the cloakrooms, powder room, and hallways are apparently difficult to decor. Actually, they can be the biggest challenge for being decorated based on style and theme you desire. This narrow hallway, for instance, looks so gorgeous with creative black-white wallpaper and shiny red chair opposite against wall. Go for clean lines and elegant just with a simple powder room furniture set. 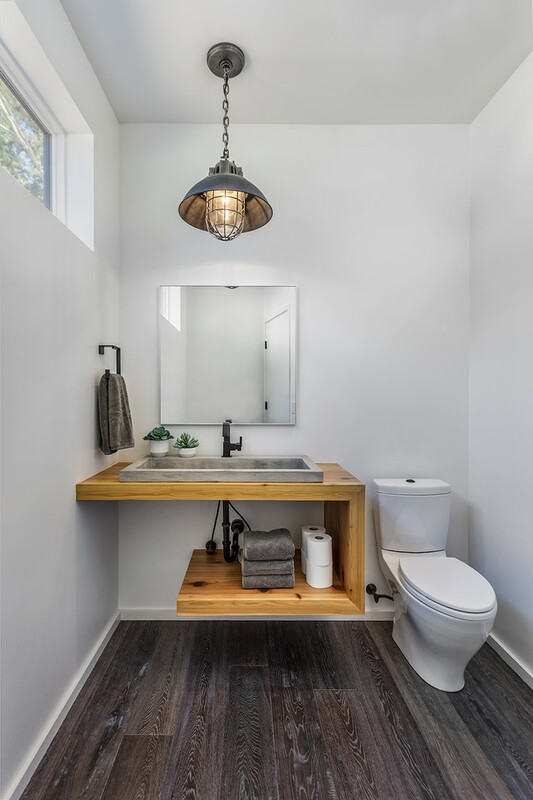 The overall design focuses on thin and clean line physical appearance that can exactly work for most small/ limited-space powder room. Select black for making it beautifully contrast to white interior. 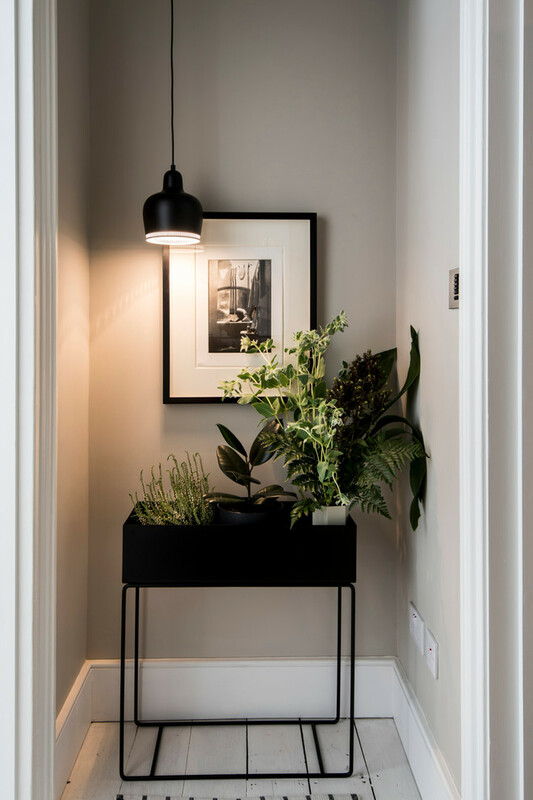 If you like freshly vivid plants as the ornaments in your mudroom or entryway, this idea is really inspiring and perfect to adopt. The greenery can be the color accent among dominant black stuffs. 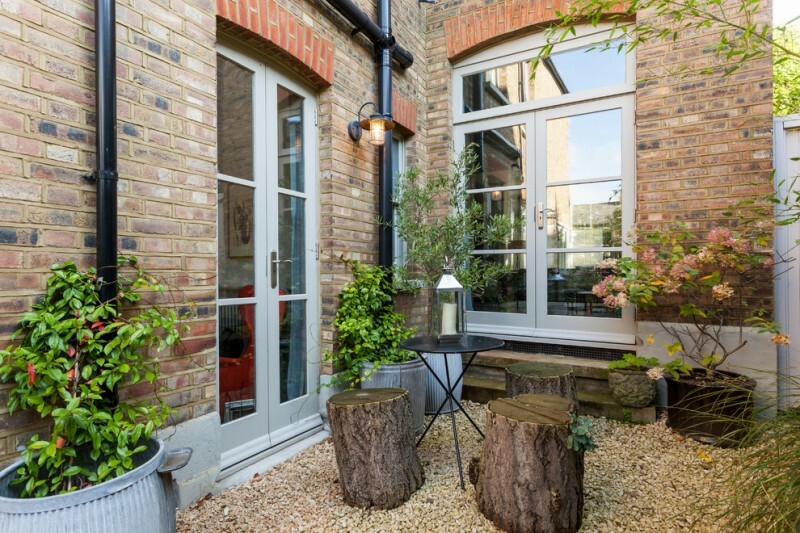 Make it more playful with dimmer lighting over the plants. 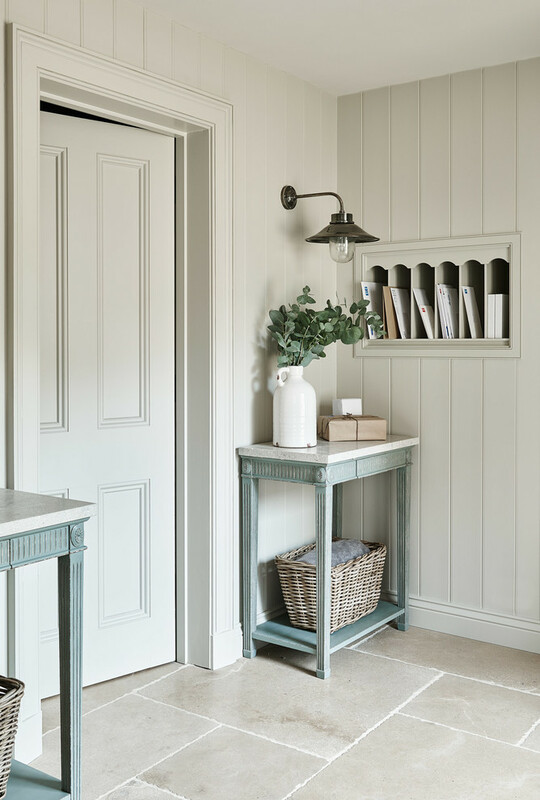 This is an inspiring idea of entryway designed in farmhouse style. A pair of small side table is set either side of door. 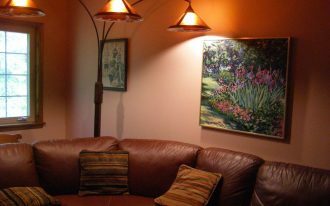 Add a wall-mounted traditional light fixture in each side for a dramatic look and light source as well. Consider the color; use soft colors to create larger visual effect. Clear acrylic chairs – They’re like the invincible things that really work for most small living rooms. Make it the best pair for such lovely white loveseat and the ottomans. 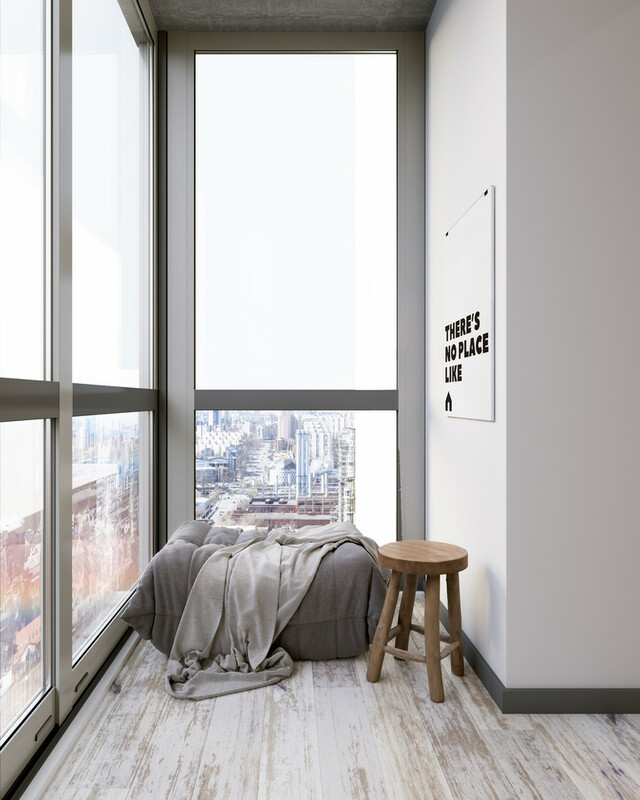 Select white as the furniture’s tone, and soft palettes like light grey and light-toned wood as the interior’s palettes for airy & visually larger. 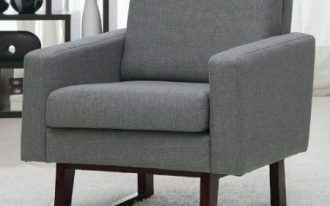 For too small living room, it’s fine to use just one piece of seat that meets your needs. Like this idea, no more seats, just a couch completed with a higher-legs round table. It’s genius to use vertical stripes as the couch’s pattern. Why? All vertical stripes patterns evidently help to create the slimmer visual effect. I really like how tricky this idea is, but it’s truly effective. A large-sized artwork also directly takes my interest. 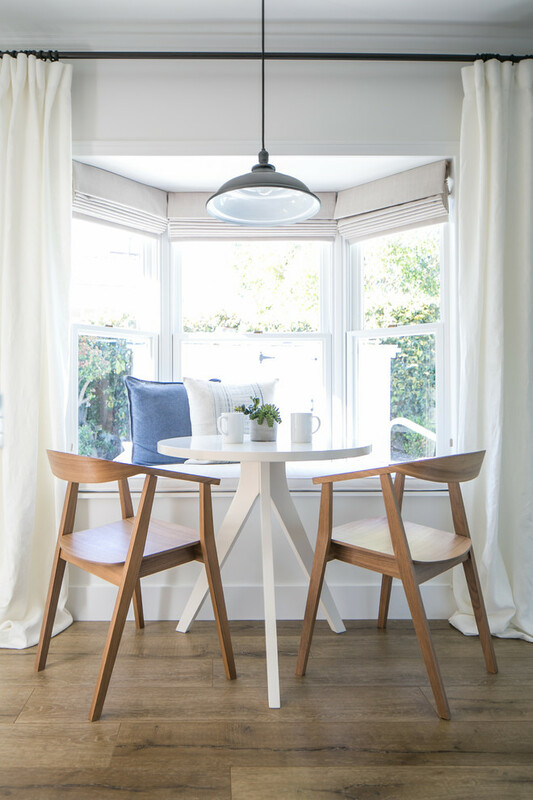 It’s fine to put a piece of large & thick chair and table in your small breakfast area, but make sure to set them in right position. Choose the best layout to get the best result. You may add other stuffs for decorating the space. An inspiring small living room for apartment with various models of furniture pieces. We’re just not focusing on size, but also we need to play with colors. White and soft are becoming the favorite colors for most small spaces, but now we can use playful colors for our small home/ apartment. Just think about what color combination we’re gonna use. It seems a hallway used for a living room. It’s so interesting, a good idea for us whose nothing space for a seating area. Simple couch and a pair of wood chairs fill the space. 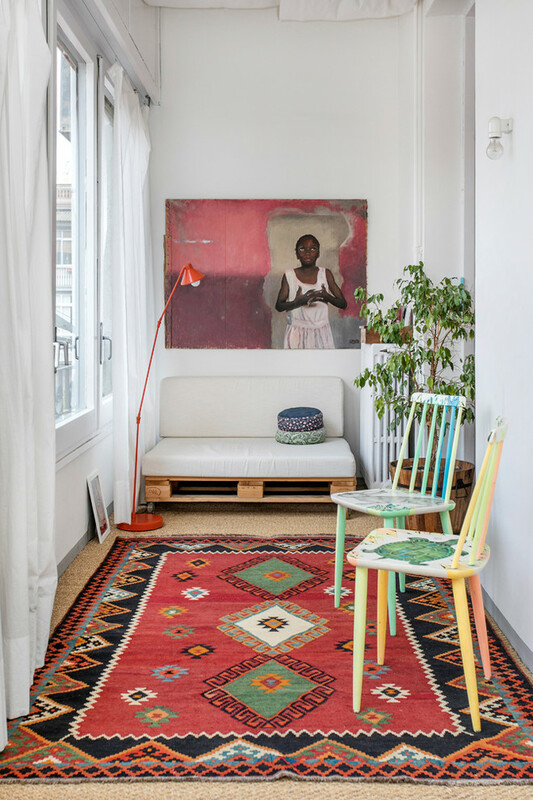 Use tribal-prints rug for the bottom. Use a large artwork as the accent. Remember, place the chairs nearest the wall for easier access. Small but chic living room idea – I love the way it is designed with the best layout. The space is small but it does not look small. Shabby-chic still be the main theme. 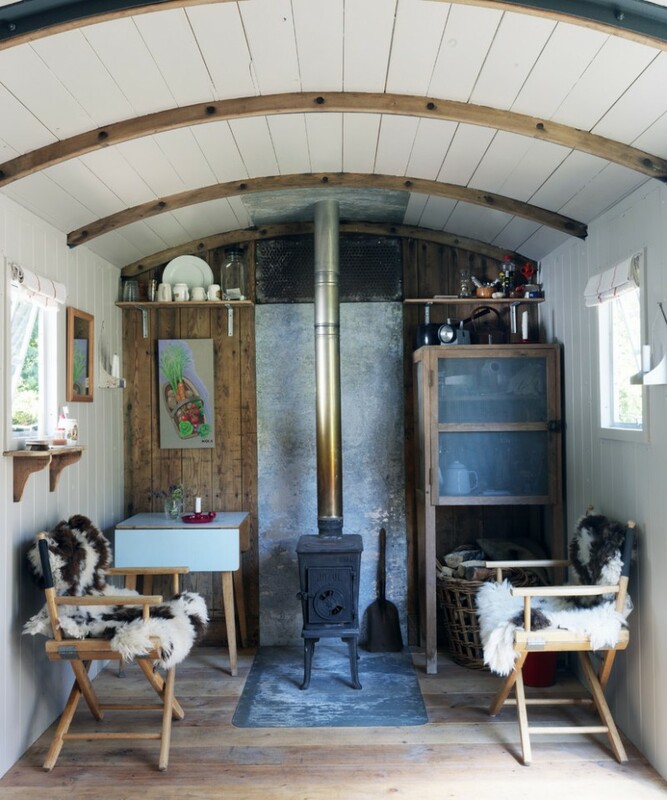 The furniture pieces included are also simple, consisting of a couple of wood chairs warmed by original animal furs, wood stove, and a vintage-styled table for some cups of hot coffee. A nice seating area for fun conversation on a cold night. 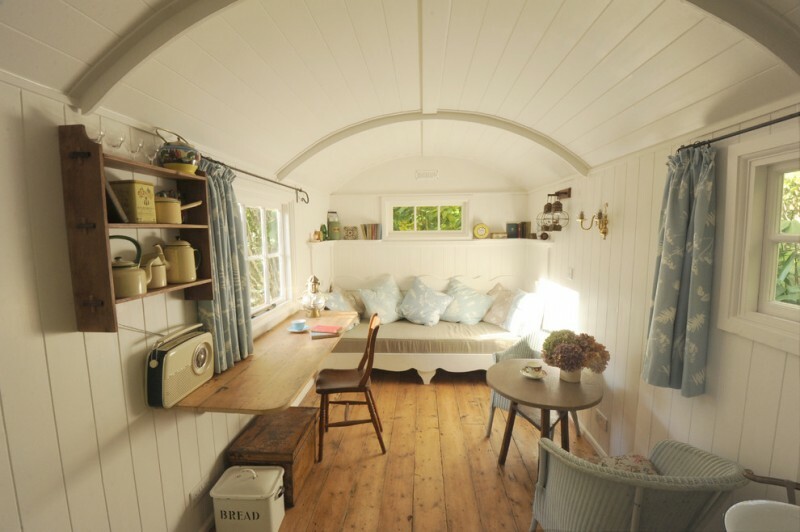 How cute this hut is. The space does give all facilities we need, such as living room, home office, breakfast area, and even kitchen in one small room. 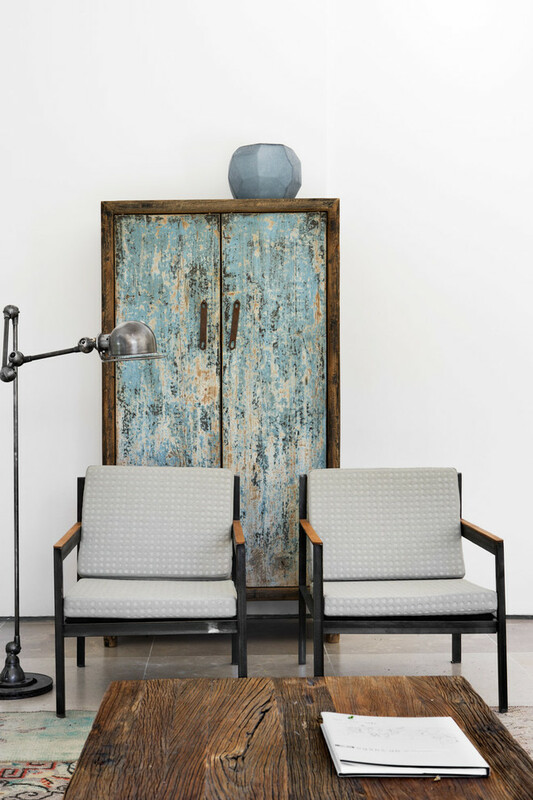 All pieces of furniture is designed in smaller size without ignoring the value of use and comfort. Maybe by adding such comfy beanbag and a small stool, you’re gonna be much more comfortable being in this corner. Read your books or just enjoy your morning coffee while sunbathing would be your mood booster. 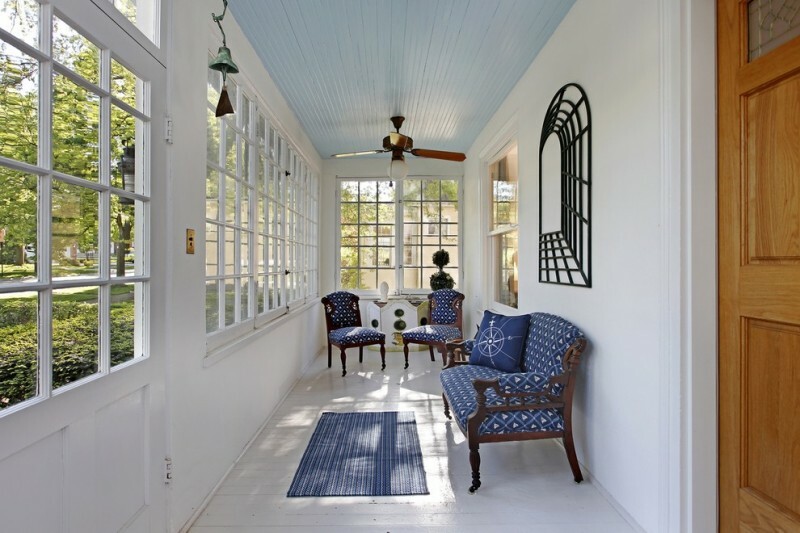 Long & narrow sunroom idea furnished with bold blue seats. For the longer-dimension sofa, it’s put aside the wall, giving the rest space for a walkway. Two other chairs maybe better to set side by side in sunroom’s end. This layout idea actually has been adopted for years, especially for such small & long chambers. Bamboo chairs comforted by fabrics with flower motifs. The idea is so classic and refers to cool vintage appeal where floral and soft tones are most used for all interior stuffs. 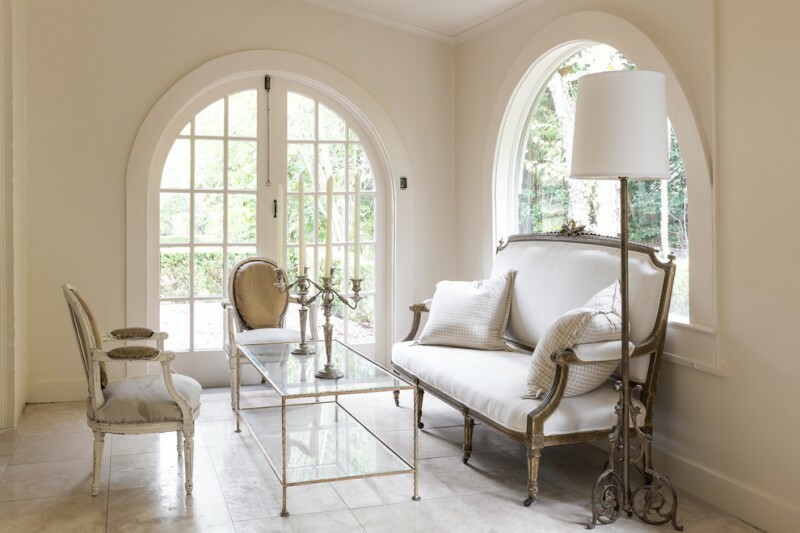 With slimmer legs, both chairs and table surely fits small rooms, including small sunrooms. 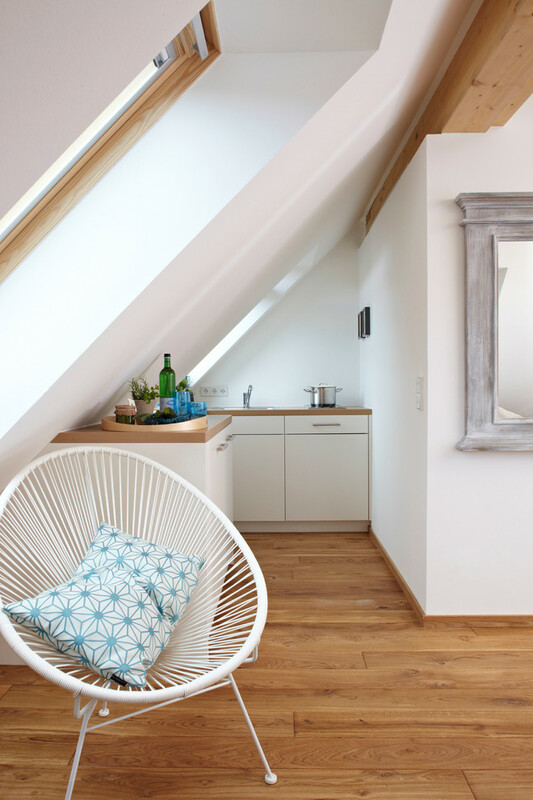 A slanted space with slanted skylights can be most recommended space for a living room, but how to decorate the space which is identical with smaller size? 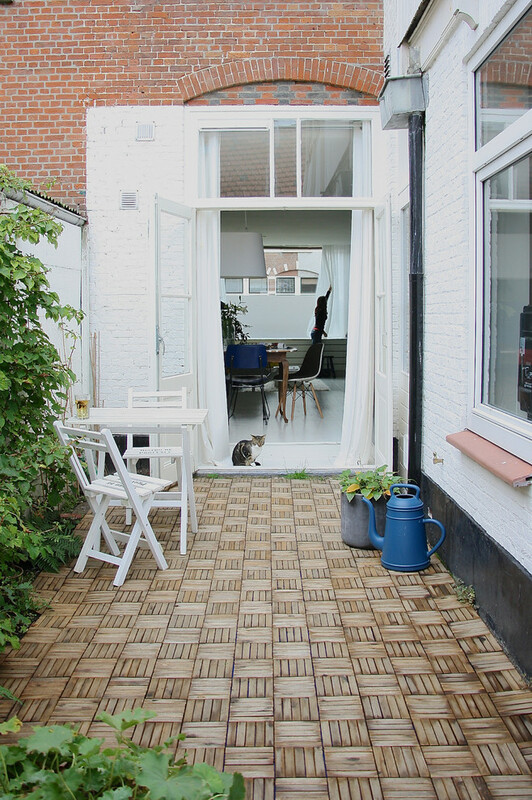 Use the right layout and furniture and let the rest of area as ‘clean’ zone where you can optimize it as the walkway or just a no-stuffs space for a wider visual effect. Slanted and too small, wonderfully it can be optimally used for a clean kitchen. Custom kitchen counter with wood surface sounds perfect for such space. No kitchen island, just the countertop flexibly used for many purposes like prep.table, serve table, etc. I don’t know exactly what this room is. 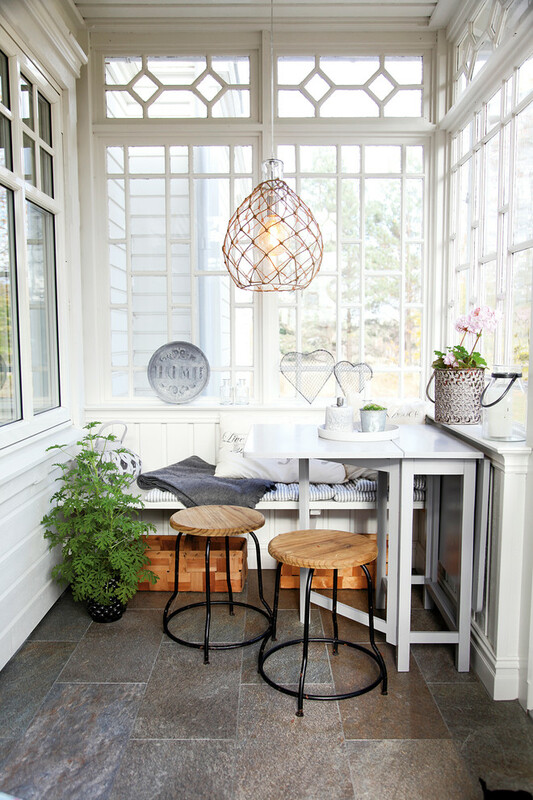 It seems like a sunroom with a mounted bench and industrial stools which perfectly accompany higher-legs side table. This place may seem perfect for much fun moment like gathering with family, having romance with lovely spouse, welcoming close friends, or just enjoying a cup of hot tea/ chocolate/ coffee alone. What a perfect bedroom is. 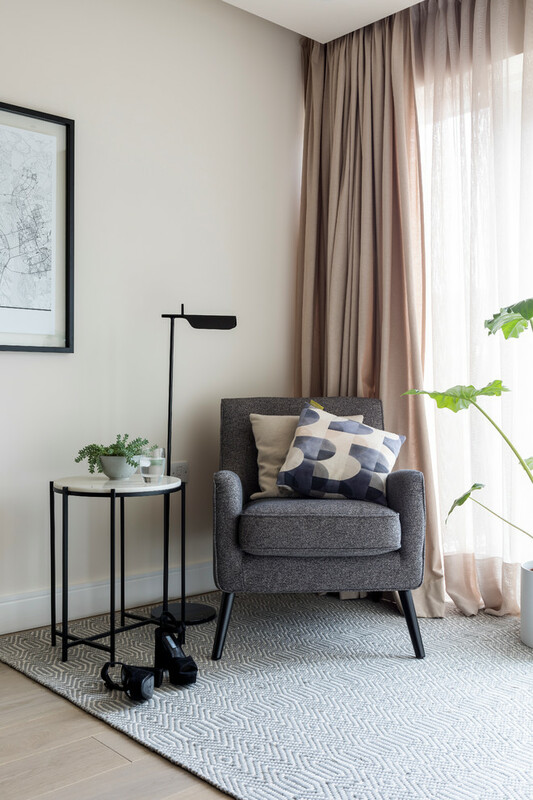 The curtains apparently frame the window and the slanted wall gives sufficient space for your suit-stand and floor lamp. White interior also brings out a larger space. Mediterranean guest room in limited space. 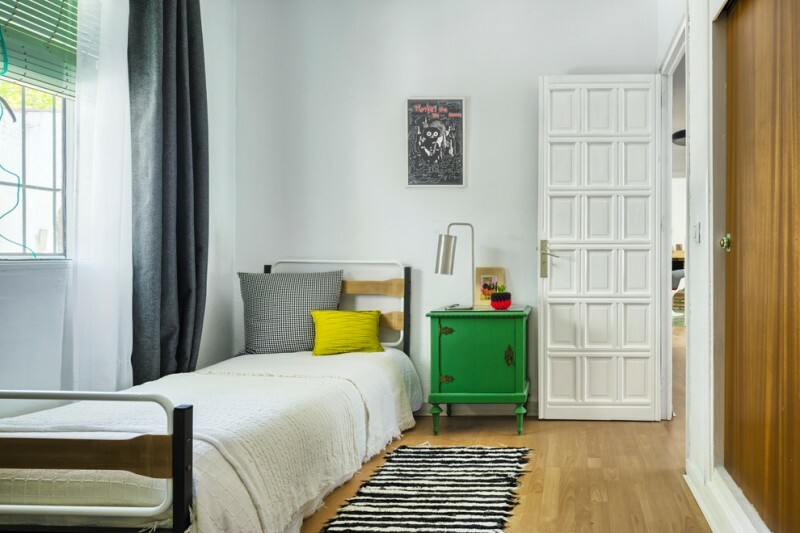 Using single bed and narrower side table are the best tricks to furnish such small bedroom. If you think that your closet is a big matter for your small bedroom, place it aside your bed, keep the remaining space clean by putting no stuffs there. 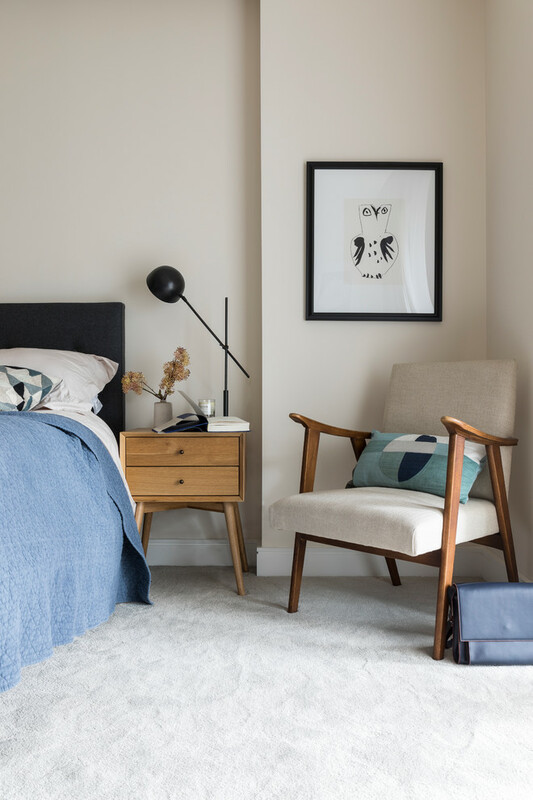 Just need small bedside tables and bed-bench that meet your storage and seating needs in a small bedroom. 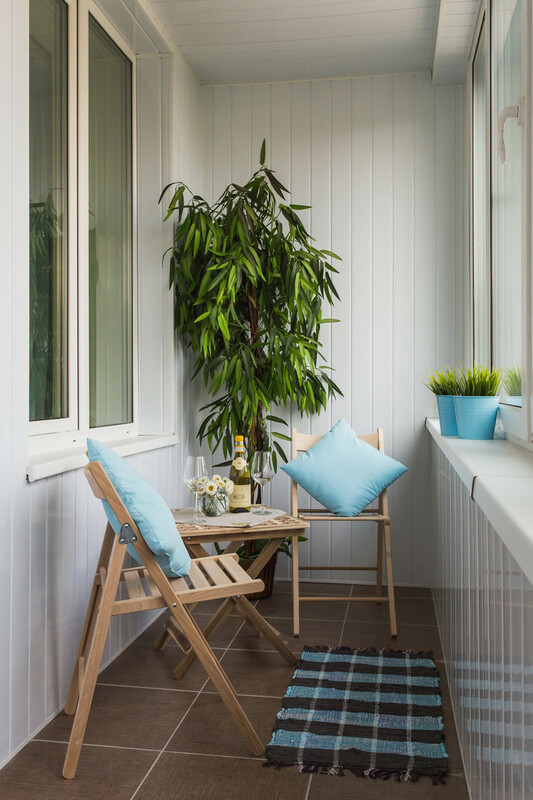 Small enclosed-balcony in an apartment. Simple but looks so cozy. Blue sky color here enriches the space where soft-neutral colors are dominating. The blue is also most striking here. The chairs stand out themselves. 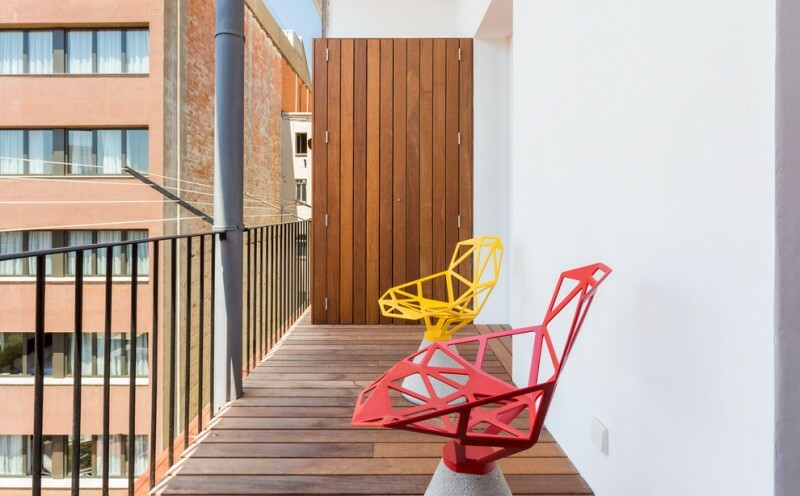 With rich and bold color, each piece of chair exposes their uniqueness. Through the design, the chairs update this small balcony. 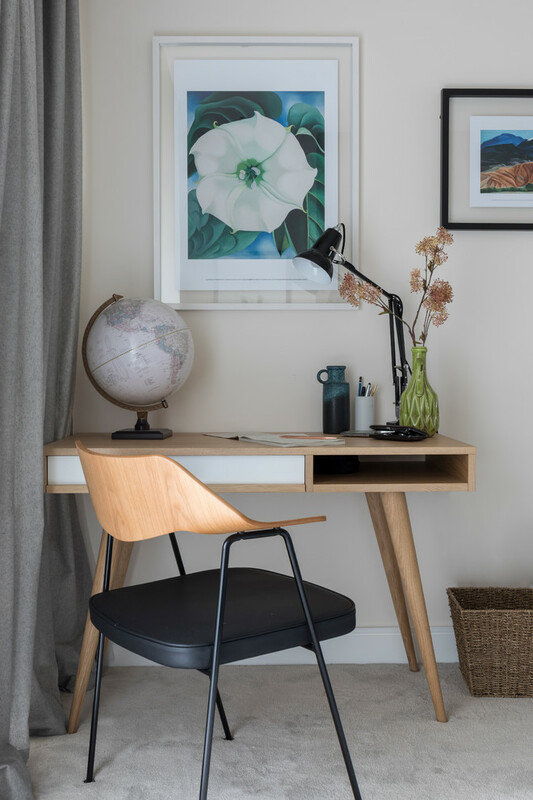 Modern and clean lines home office with light-toned wood as the main material. 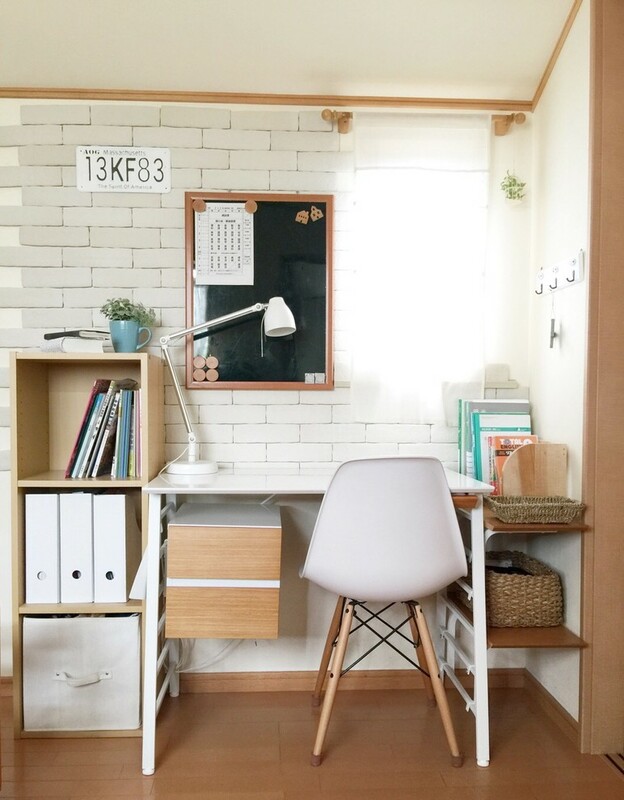 The limited space isn’t a barrier to make your home office cozier and more stylish. Choose the right design and layout to optimize the space. L-shaped counter which is actually a working desk that connects to book shelves is the best model for most small home offices. You can improve the storage by adding extra shelves on top. Simple and small Scandinavian home office with white and wood color exposures. 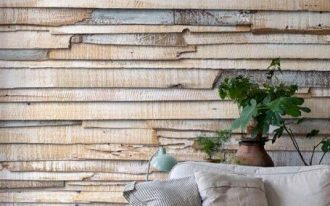 It’s true that white and wood colors are one of best color combination, and these colors are often used for most scandinavian interiors. 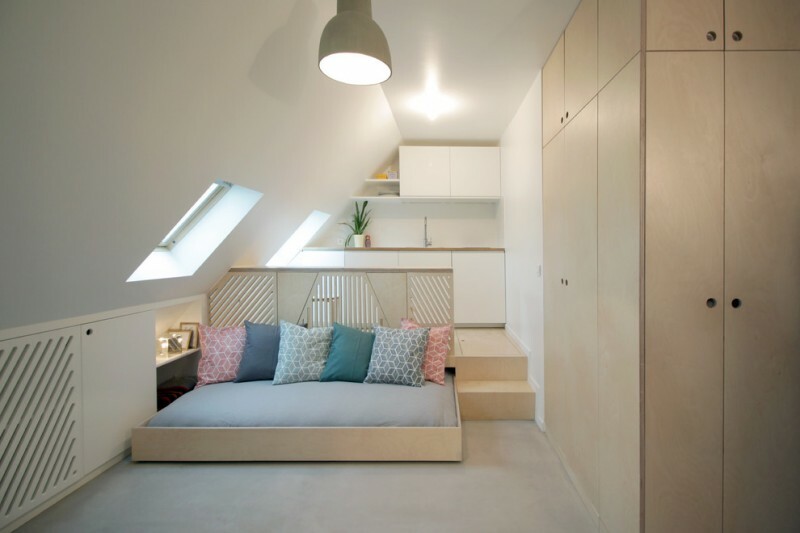 A mutlifunctional space with loft bed. 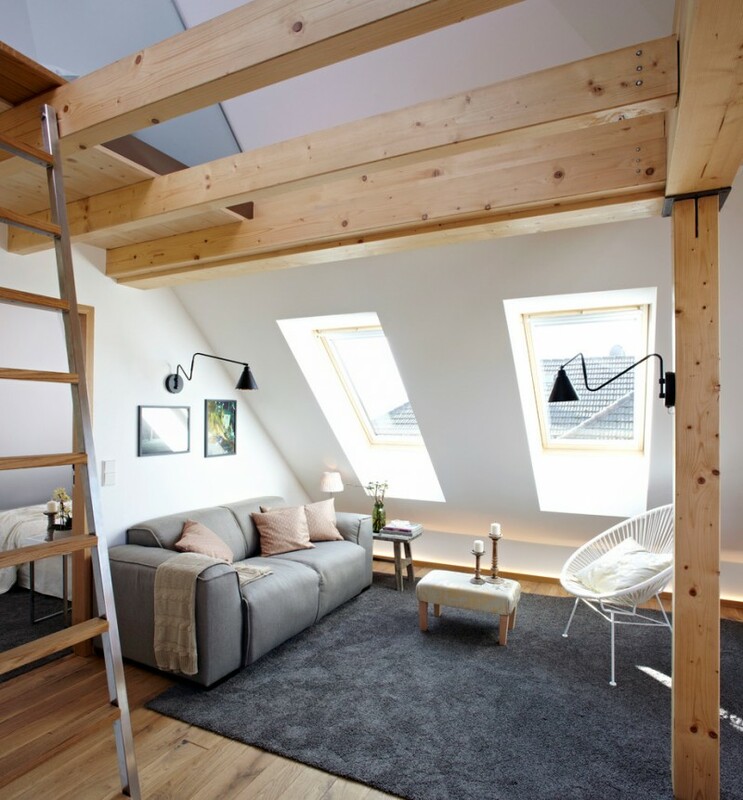 The loft bed is flexibly used as a bed or a daybed. Lots of throw pillows here surely give huge comfort as well as ornamental pieces. 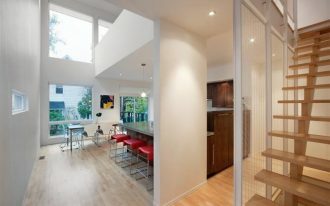 Lower wood partition actually roles as the separator of two different spaces: clean kitchen and bed area. With kind of this separator, the user can still get interactions with someone else in that bed area. That’s so fun, right? 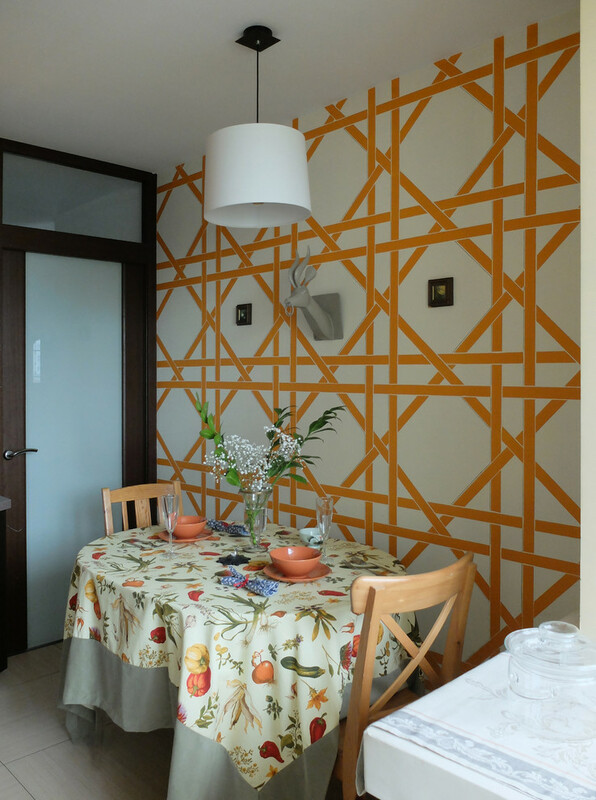 Simple small dining room accented by geometric wallpaper. It seems so crowded, indeed, when we’re finding more than two patterns in one implemented interior. 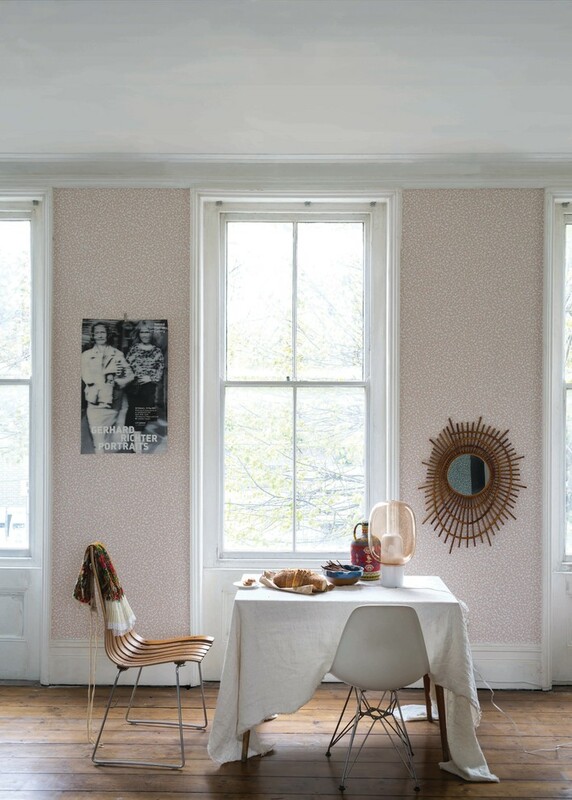 The wallpaper and table skirt have different patterns and they’re similarly beautiful. An eclectic dining room idea with small cluster of dining furniture. Look at the table skirt, it falls over to the floors, creating a dramatic look. The seats, in addition, bring a modern touch to the space. There will be so much fun daily activity to have some delish meals in such cozy breakfast nook. The space is especially designed in modern farmhouse style and includes the best pieces of dining furniture set. The furniture’s size indicates that they exactly fit most small-space dining rooms. Clean lines and modern – wood counter and open shelf show the uniqueness won’t be found in other vanities, and they will keep being the most striking one among this white & grey interior. 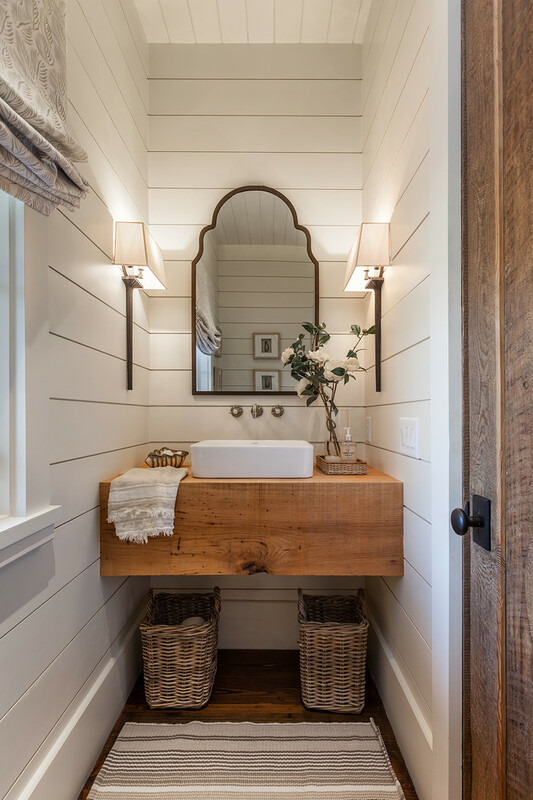 White siding wood wraps around the vanity, making this furniture be a center of interest. Moreover it uses unfinished wood as the counter, making it stands out. The lighting also takes a huge role; each vanity lamp produces a dramatically dimmer glow that bursts out against the walls. Formal living room in shabby-chic. Overall design exposes deep hospitality and coziness commonly found in Southern. 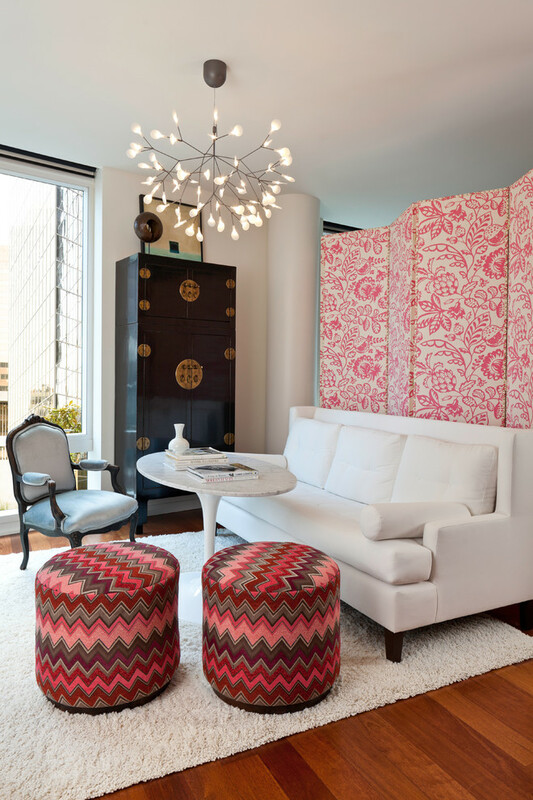 Since the space is smaller, three pieces of seats are more than enough for welcoming and entertaining the guests. Sectional is another most recommended product that needs to consider for small rooms. 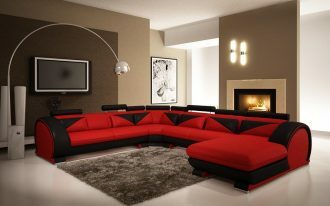 In this idea, for instance, U-shaped sectional traps around the space, giving a comfy seating area for reading. The position is really strategic, making us easier to access the books we wanna read. Just focus on chairs and a closet at behind. Both are simple and intentionally design as shabby as possible for a dramatic shabby-chic look. Their clean lines design doesn’t take much space, so they really match with small rooms. Remember, choose the right layout for the best result. Cozy reading corner in mid century modern style. 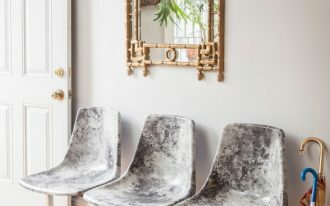 The space just requires a piece of mid century modern armchair accented by throw pillows and a small round-top side table as the complementary stuff. 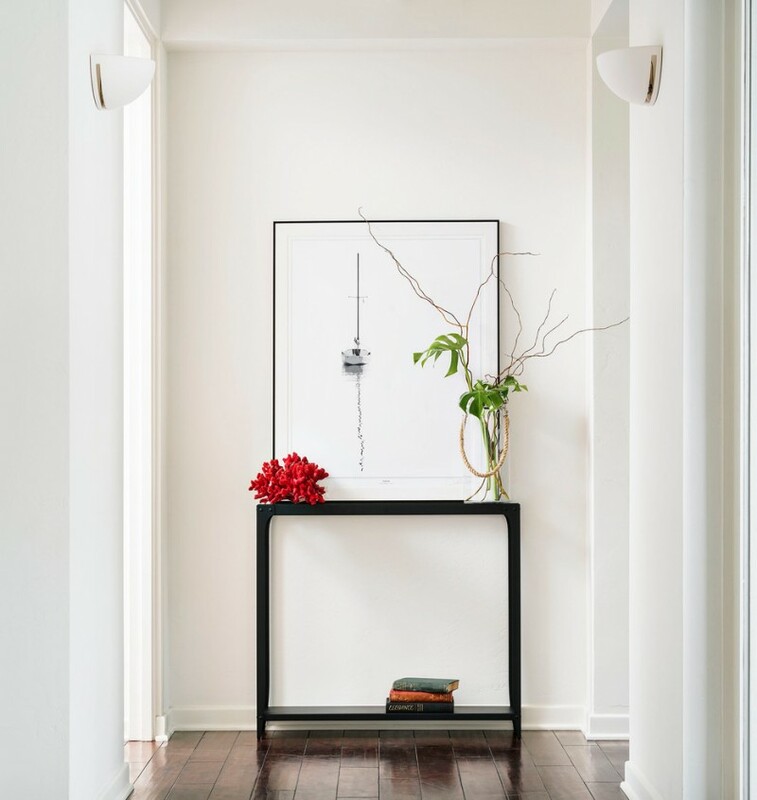 For lighting, black-finish floor lamp adds another modern touch to this space. 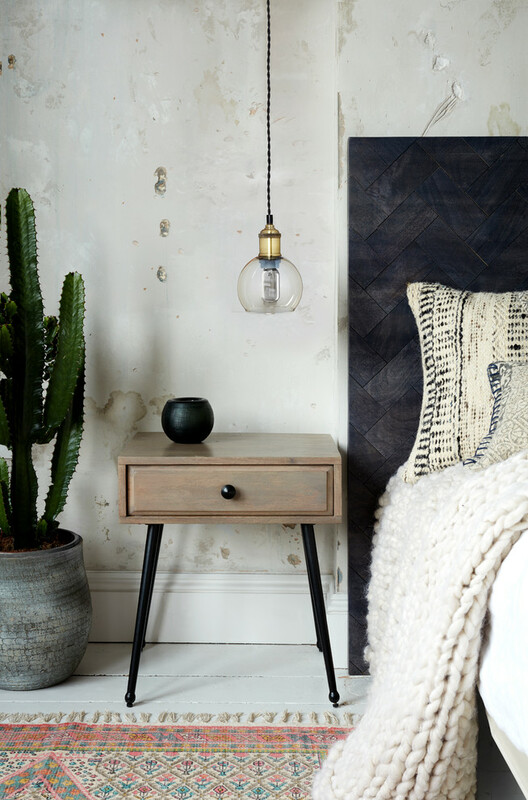 A bedside table built from mango wood, stained with rustic-grey finish, and black angled-legs for base. Its small size and thin dimension makes it be best favorite one for furnishing a little empty space of bed’s corner. Not only the angled-legs bedside tables, the angled-legs armchairs are also the favorite selected by most people in recent days. 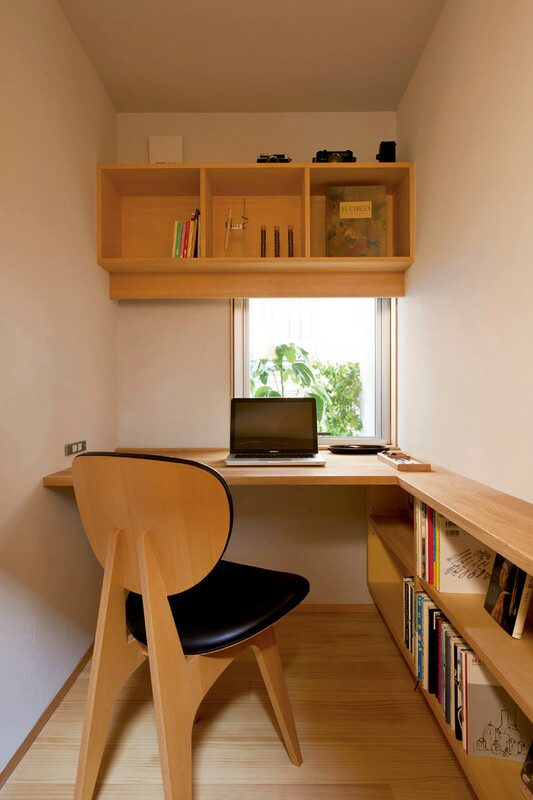 The chairs are perfect for giving an extra seat in one of bedroom’s corners. In addition, it gives stylish look in the bedroom. Angled-legs table still be the favorite for small rooms. Make it more perfect by taking thin-legs chair as the best match. Both surely will give you the best performance as you’re dreaming on.